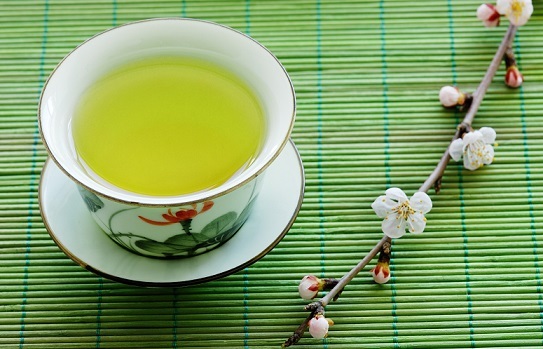 Does Green Tea Have the Power to Help You Lose Weight? The number one drink out on the market today when it comes to losing weight is protein shakes. After that and rising in popularity as each day goes by is green tea. Green tea has seen a rapid increase in popularity over the last few years so much so that more and more products are coming out that are being flavored with green tea. There is even green tea flavored ice cream! But I guess you’re wondering whether or not it will help you lose weight? While this drink is popular, be glad to know that it is for the right reasons. Unlike many of the popular fad diets out there, green tea does actually have health benefits that can help you lose fat really quickly. 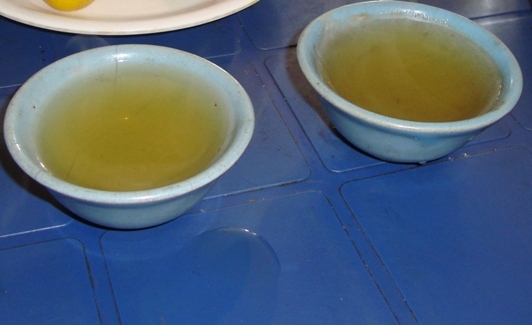 Where On Earth Does Green Tea Come From? Green tea actually begins life on a plant that goes by the name of Camellia Sinesis. You’d be surprised to know that this is the exact plant where black tea also starts life. While both of these teas start from the same place the end result could not be more different. Green tea is a lot more beneficial to your long term health than black tea is. The factor that makes green tea that much more beneficial is the fact that it is barely processed. Is It Worth Drinking Green Tea Regularly? Green tea is hardly processed from the moment it is picked to the time it gets to your cup at home. This is why many of the health benefits that are associated with it remain unchanged. Hence why drinking green tea is the best form that you can take it in. You should avoid all those processed products that claim to have green tea in them because they will never be as good as just drinking the tea straight from the leaves. What Does Green Tea Do For You? There are many wonderful things that green tea will help you achieve if you drink it on a regular basis. The most beneficial thing about green tea is in its ability to help a person to relieve a lot of the stress that they may be going through. This stress relief will help to encourage the body to let go of some of the excess fat that it has been holding onto due to stress. Another really great benefit is that green tea has small amounts of caffeine in it. This will help you to remain alert and energetic. This means that you can put down those fattening cups of energy drinks and coffee and instead start gulping up cups of green tea. Not only are you going to experience the same benefits in terms of energy but you will avoid experiencing the crash that is so common from drinking too much coffee or energy drinks. It is highly likely that if you are overweight even by a small amount then your chances of getting blood pressure and high cholesterol are highly increased. Those people that are able to drink green tea on a regular basis will find that their chances of getting illnesses such as blood pressure and high cholesterol will be significantly reduced. This will ultimately help their bodies to focus on losing the excess fat that they are carrying. There have also been countless research studies which have shown that green tea prevents your body from producing any more fat cells and instead helps to convert a lot of the fat that you have on your person into energy that you can use to get through the day. This ability that green tea has to help a person burn fat is the reason why so many people drink it on a regular basis. Those that really want to see the benefits of drinking green tea should aim to drink at least three cups of it a day. But you need to take your time and implement it into your lifestyle slowly, one step at a time. This is the only way that you are going to maintain it as a solid part of your diet. To really see the best results you are going to want to make sure that you are on a solid diet that is full of healthy and nutritious foods such as vegetables and lean, organic meat. At the same time, you need to be working out on a regular basis. When you get these fundamentals perfect then you will find that the green tea you drink will give you that added boost. You will get into the best shape of your life that much faster. There is nothing more to it, and so all you need to do is get out there and take action. Sergio Neuroice has a passion for a passion for writing about health and would like readers to learn more about interesting topics, such as the fat loss factor and how to lose belly fat in a week, then do visit www.hypothyroidismdietplan.org where you will be able to get all the health answers you want.